Lucy is currently residing with other dogs and has shown to be very dog social and enjoys running around with other. 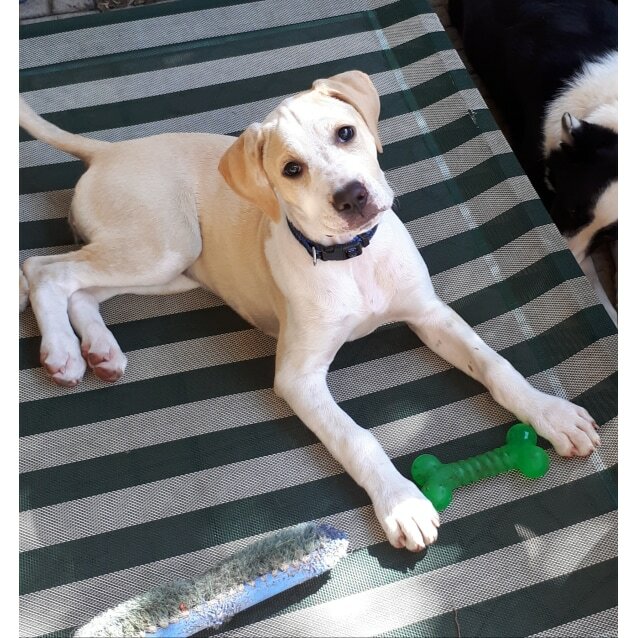 She is a very sweet girl who enjoys playing with her toys and will need time spent on her training and lead walking. She would suit a family or just about anyone who has time to spend on socialsing and training. Preferable someone who is home a lot as she is still young and learning her social and dog skills. She loves to cuddle up on the couch with you at night and is learning to sit for his dinner. Lucy is untested with Cats and Chickens, as long as there is a safe introductions, she will be fine.